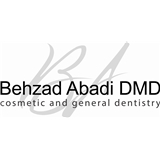 Dr. Abadi and Associates (Encino) - Book Appointment Online! If you are looking for a gentle, caring dentist in the Encino, Studio City, or Sherman Oaks CA area we welcome you to our practice. Welcome! The dental professionals at My Encino Dental are pleased to welcome you to our practice. We want all our patients to be informed decisions makers and fully understand any dental issues you face. That’s why we’ve developed a web site loaded with valuable information about dentistry and dental problems and treatments. We encourage you to visit this site whenever you have concern about your teeth.